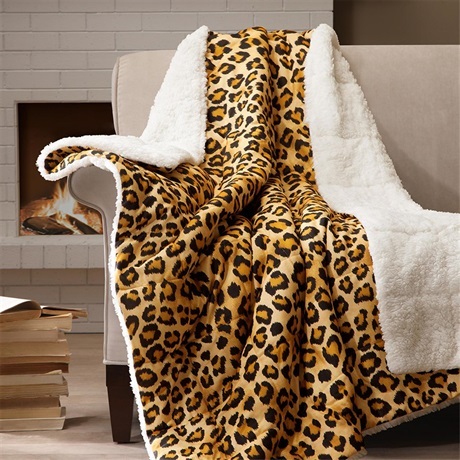 If you’re looking for a cozy throw blanket to cuddle up in on the couch, this Angola Cheetah Printed Blanket will be perfect for you. The top is made out of a cheetah printed cozy spun material which is super soft to the touch, and the reverse is an ivory berber material that feels almost like fur. This blanket is lightweight, yet warm to carry your through the seasons.